Turn expectation upside down! 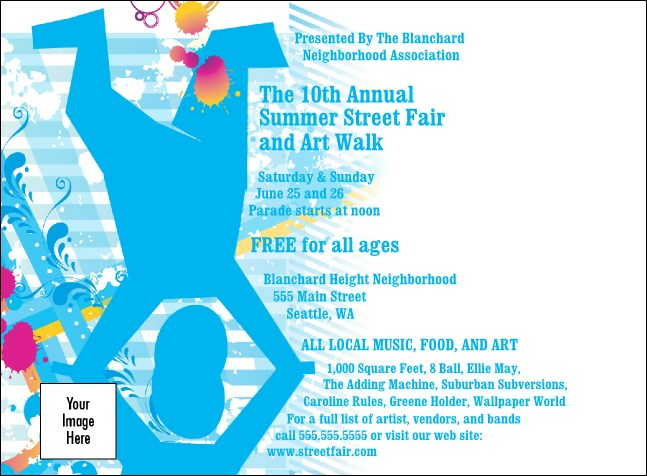 Prepare folks to expect the unexpected with this funky Street Fair Invitation featuring a pair of acrobats engaged in a delicate balancing act. Alert others to the excitement of live music, artists' booths, street performers, and gloriously fried food at your upcoming local festival or event. Fill in the easy template below to get started! Give it a little twist with the right publicity from TicketPrinting.com.